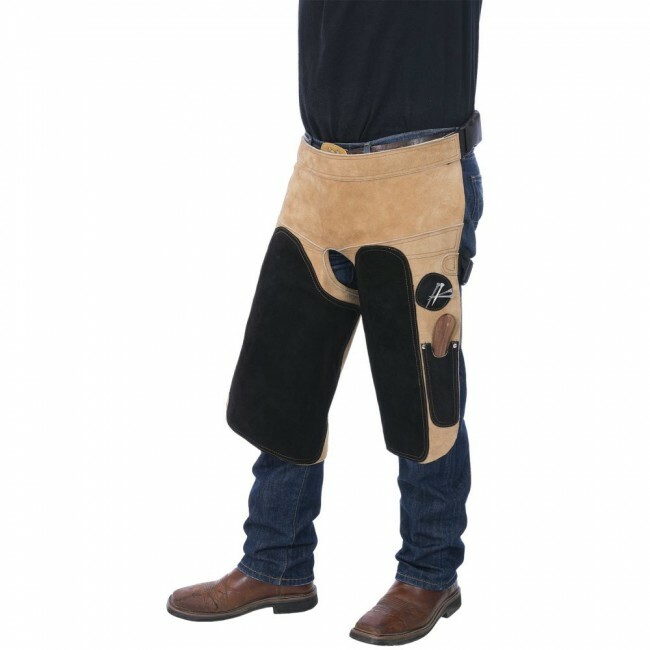 Provides superior protection while trimming and shoeing! Made of heavy, yet flexible leather with extra protection around the inside of the thighs where you need it most. Both sides feature knife pockets and nail magnets. Fully adjustable at the waist and legs with heavy plastic clip buckles for easy on/off.